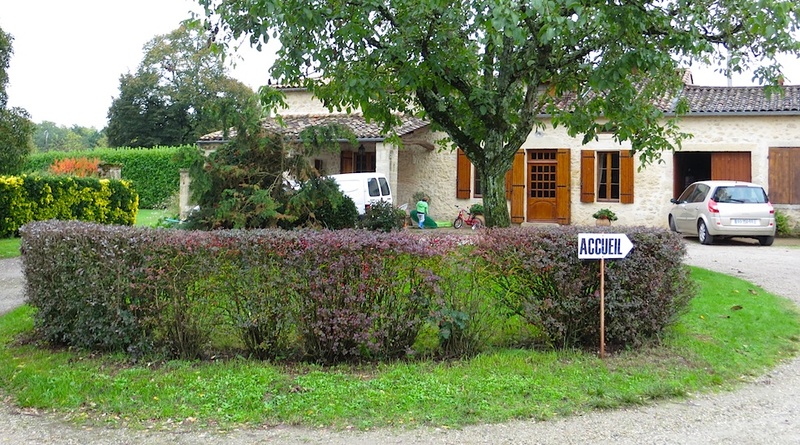 We pick up last Monday’s EU Austerity Drinking Tour post south of Bordeaux, sick, but thirsty. Our free, Open Doors, van tour of Graves had started decently. Château Pont de Brion let us taste a mini-enprimeur of 2012’s just-harvested varietals. They were tidy, well-branded, but too clean to be outstanding. Then I kicked a dog (accidentally), and they kicked us out. The word Châteaux clearly gets applied to anything in Bordeaux. A child plays with gravel in the driveway. A stable-winery glares orange. The center tree shades a large, black dog who greets with a lazy bark. But superficiality be damned. We came for wine, not glamor. Our van clatters off, leaving us and three, twenty-something ladies in the parking lot. Finally, a round Napoleon emerges. Mr. Espagnet takes us aside. No English? OK by us. Vineyard tour or winery tour? Our three black-haired girls waver. They just want a drink. But the rain holds off, so I ask for vines. Mr. Espagnet nudges his black and neon-green glasses up his short stub nose, smirks, and off we go. 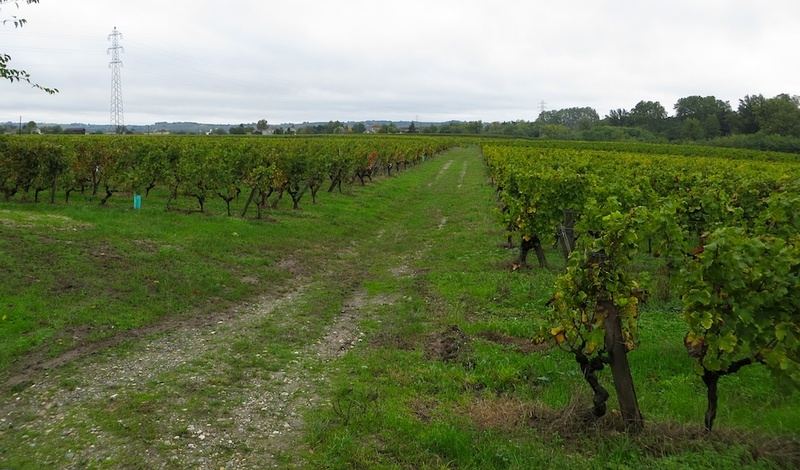 Graves’ famed gravel, its Garonne river, sloping hills, and all things drainage are explained. Then the vines. Those gnarly vines. Mr. Espagnet’s dirt gray fingers grab a cluster of grapes. They’re Sémillon: usually a white grape, but Mr. Epagnet smiles and says god is color blind. Blue-grey fuzz peppers these black orbs. Our guide pops one in his mouth. The girls squeak. He proclaims them nearly sweet enough for Sauternes: that most-golden of dessert wines. His earthen fingers squeeze another. It splits along a fuzzy seam, oozing a greenish gold. 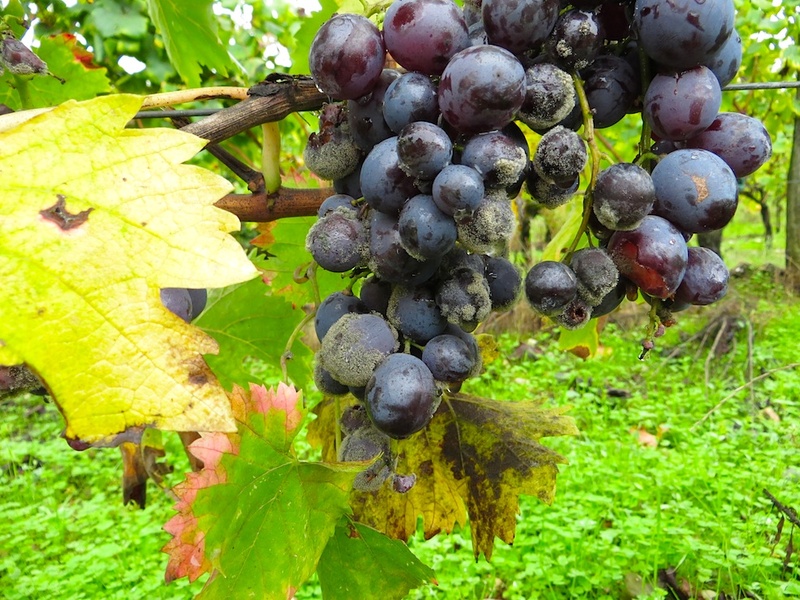 Botrytis cyneria, a bacteria, is the culprit. 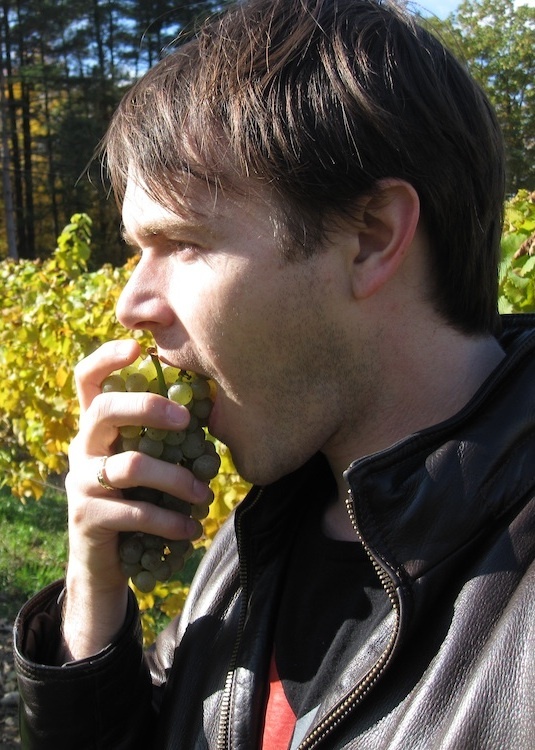 Known as “Noble Rot” when it attacks grapes after they’re ripe, bad “grey rot” when before. The bacteria pierces grape skins, gradually desiccating them, concentrating sugars. Graves’ rolling hills trap morning fog from its rivers. This damp, cool morning is perfect for growing the bacteria on grapes. Although rain threatens, usually afternoon sun dries and slows Botrytis from overdoing it. Mr. Espagnet grows Sauvignon Blanc and Muscadelle to balance his dessert wine and also make whites. For reds: the Cabernets, Merlot, a bit of Malbec, and a two hectares of Petite Verdot grow here. He likes our poorly formed questions. But the girls furrow their brows at our invasion. So we head inside his converted stable. Ten foot high, composite plastic, open top tanks bubble merrily. 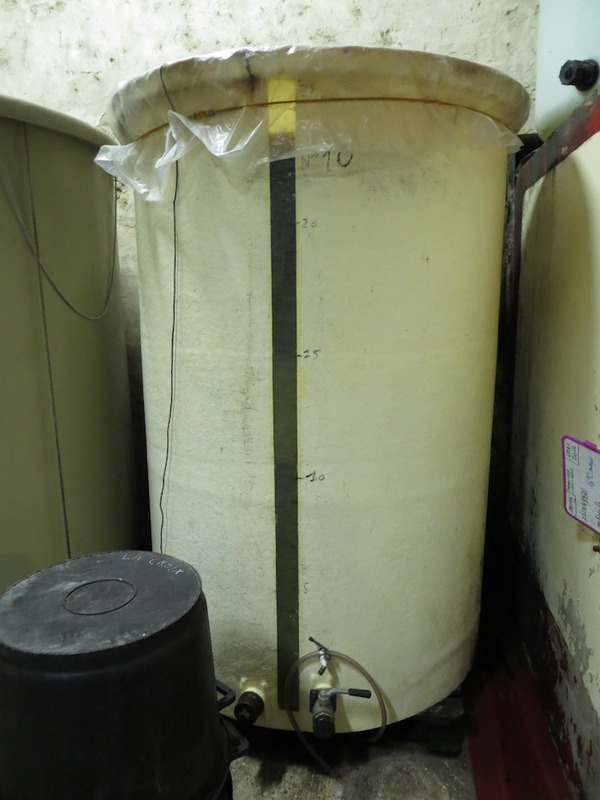 Taller stainless tanks loom. Wine-stained tubes and pipes dangle along walls. Modernism finds its way anywhere. 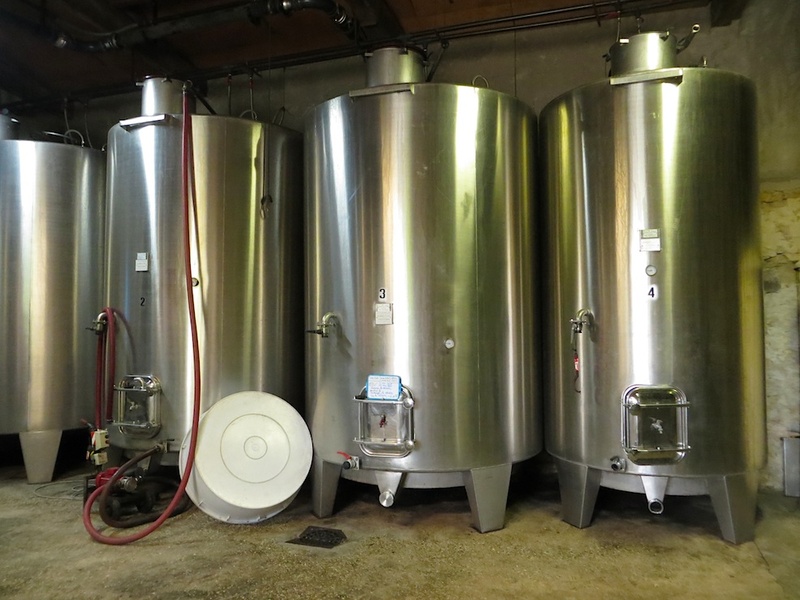 His aging room contains two more fermenters, with red wine splashing continuously over it’s skin cap. Barrels sit atop each other in the far corner, and opposite, a wall of more cement tanks for aging red wine. 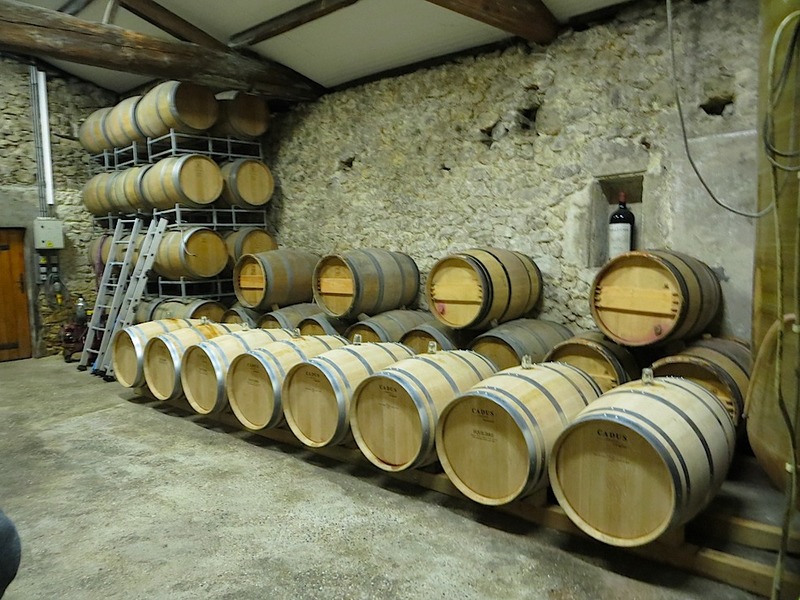 He uses all French oak, but has a few American barrels for kicks. I then ask a question about fermentation. Everyone in Graves uses laboratory cultured yeasts for consistency, Mr. Espagnet claims. Egg whites and gravity are also de riguer for fining reds. Graves may be in the limelight of St. Emilion or the Medoc, but it follows what works. Extra golden colors lead to strong nose of candied fruit and vanilla. Bright acidity still tightens a round body. Powerful minerals, pear, lime, mint, and soft vanilla fill the palate. We try the horrid-but-delicious fois grois. It makes the wine lighter, citrusier, and more complex. The only lack is the length. Still, this is very good (4 of 5). Oddly, this has a decade ahead of it. And only 7.50 EU! Both ’08 and ’09 look dark ruby. 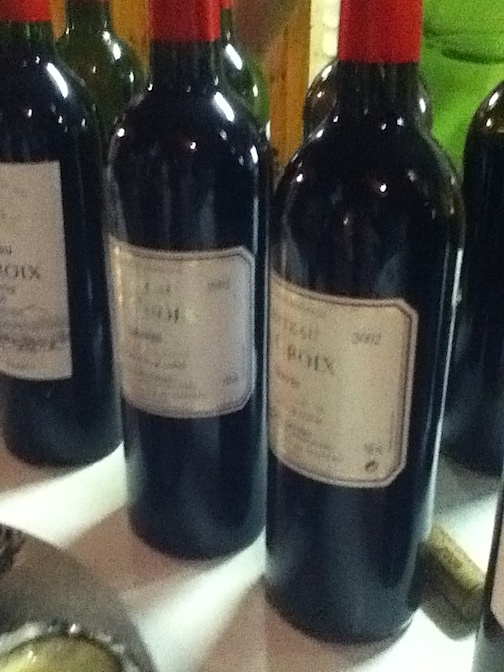 Both smell of red and black fruits, although 2009 shows a hint of bell pepper. Structure-wise, 2008 feels more acidic than 2009. Tannins feel meatier on the 2009. Both bodies feel medium in weight. 2008 tastes of tart red fruits, while 2009 tastes riper and blacker, but both share a lovely line of chocolate. The 2009 is riper and chewier. Both are solid goods (3 of 5), especially under 10 Euros. Time to up our game to Croix’s “Premium” Red range. 2008 and 2009 Acacia were nice. Let’s see how 2006 and 2007 Premiums hold up. 2007 already looks a garnet, ruby. Strong, angry, charred vanilla aromas lead to minor black and red fruits. Dry, bright acids make for a lean, structured, limestone mineral, burnt wood wine with a bit of tart dark cassis. The length is long. 2007 is good now (3 of 5) but desperately needs cellar time. 2006 still looks a lovely ruby. Aromas express bright red fruit, cassis, cigar, and even floral tones. Fresh acids, upright tannins, and a medium body show promise. Flavors of ripe red and black fruits get checked by cigar. An impressive length makes this very good (4 of 5). Yet only 8.50. Brace yourselves. Our palates dive a decade into the past: 2001 -vs- 2002. Do they taste like undergrad??? We start with 2001. Very exciting! No color remains but a pale garnet. A confident nose holds out with toasted vanilla bean, fall leaf, and cranberry. Alive acids and balancing tannins head straight into bold flavors of fall leaf, cigar, and black fruit. But they are fading. This is becoming a pure oak show, yet still vibrant. The length is medium. The quality remains good (3 of 5). For 8.10 EU buy it. A deeper garnet fills our glasses. Still young, moderate aromas of mocha, red, and black fruits shine. More acid, more tannin, more body, and more flavor prove that 2002 is more alive than 2001. Chewy chocolate, cigar, black and red fruits fill the palate for a lengthy while. 2002 is very good (4 of 5). We wanted to love the 2001. But 2002 is just better. By the end, my wife and I are starving. Rain pours outside. It is probably 2 pm. We devour half our baguette and avocado, while the girls dart angry, hungry glances. Mr. Espagnet and his “Château” La Croix makes credible, real wine in Graves. He charges nothing for them. 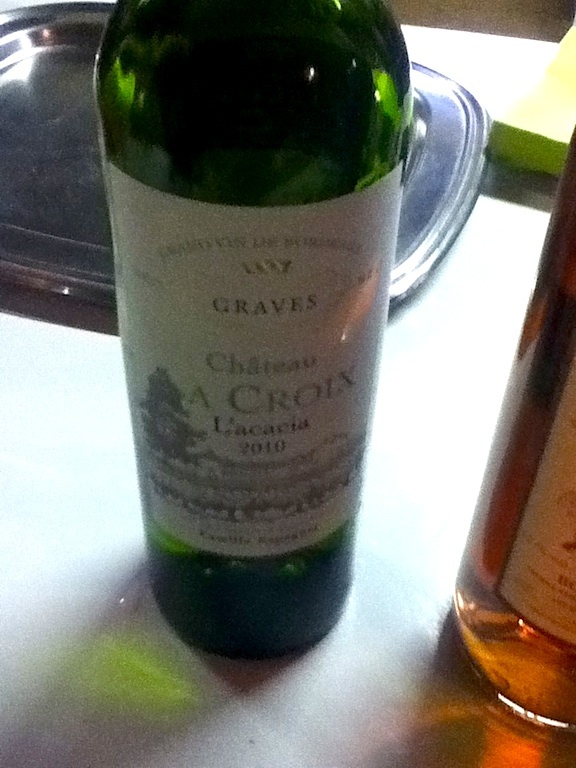 We start to realize that Bordeaux, at least here in Graves, can make real, daily wine for under $15. Because we’re horridly sick, we buy his rosé and get ready for the van. Check back next Monday. We continue our Open Door tour of Graves with Châteaux Caillivet. This entry was posted in Uncategorized and tagged Bordeaux, Botrytis cyneria, dessert, France, Garonne, grapes, Graves, malbec, Muscadelle, Petite Verdot, Sauternes, Sauvignon blanc, Semillon, wine, wine tour. Bookmark the permalink. Would he want his wine sold in U.S.? Amazing prices. Don’t think he makes enough (that and there’s another, more famous Château la Croix up river in Pomerol).